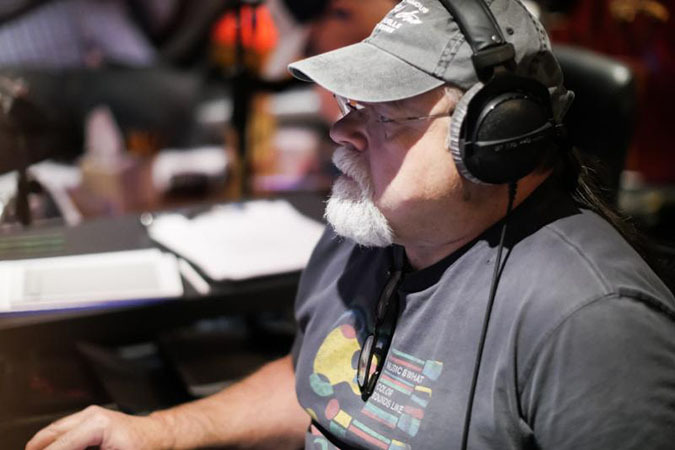 A lifetime of experience in and around the music industry is the driving force behind Sound Biscuit Studios (Sevierville, TN) owner and producer, Dave Maggard’s mission. A self-built, state-of-the-art recording studio, performance and workshop space, and creative environment, Sound Biscuit specializes in working with aspiring artists through artist development, recording engineering and strategic planning, and now completing the puzzle, Maggard has embarked on creating a record label. With a substantial client list already in their back pocket including The Po’ Ramblin’ Boys, C.J. Lewandowski (solo project), Jada Star and Barry J., and Mainline Express, Sound Biscuit has established themselves as a go-to studio and label for grassroots projects and artists. With a goal of creating innovative ways in partnering with artists, the label continues to think outside the box with a goal of motivating, inspiring and supporting artists in achieving their musical goals. The label’s first release, Ozark Mandolin is a solo project from The Po’ Ramblin’ Boys’ C.J. Lewandowski. Since working with Lewandowski, Sound Biscuit has expanded to create with artists Jada Star and Barry J. on their release, Long Way Home, The Po’ Ramblin’ Boys gospel album, God’s Love Is So Divine, as well as a project for the new group, Mainline Express, formed by Jesse Brock (formerly The Gibson Brothers) set for a June 2019 release. For more information on Sound Biscuit Productions, visit www.soundbiscuitproductions.com.